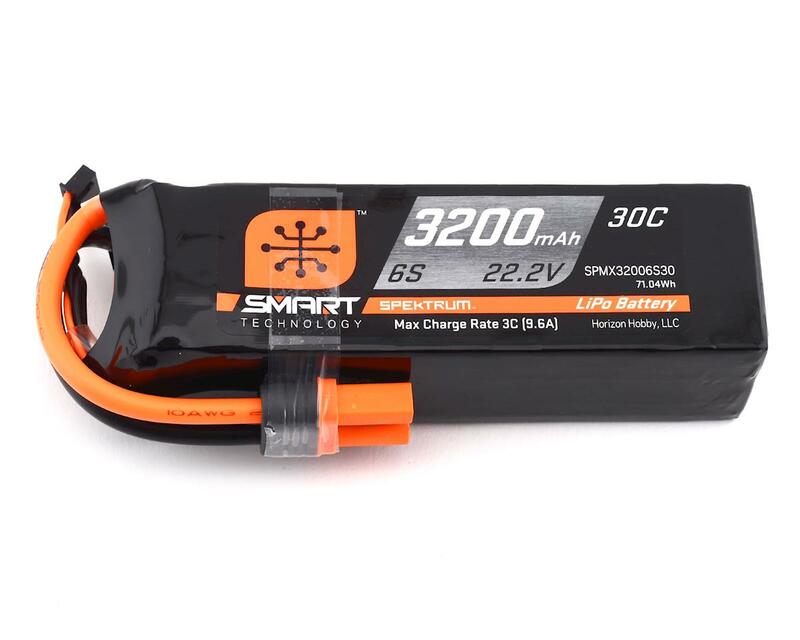 Spektrum Smart technology LiPo Batteries practically take care of themselves. 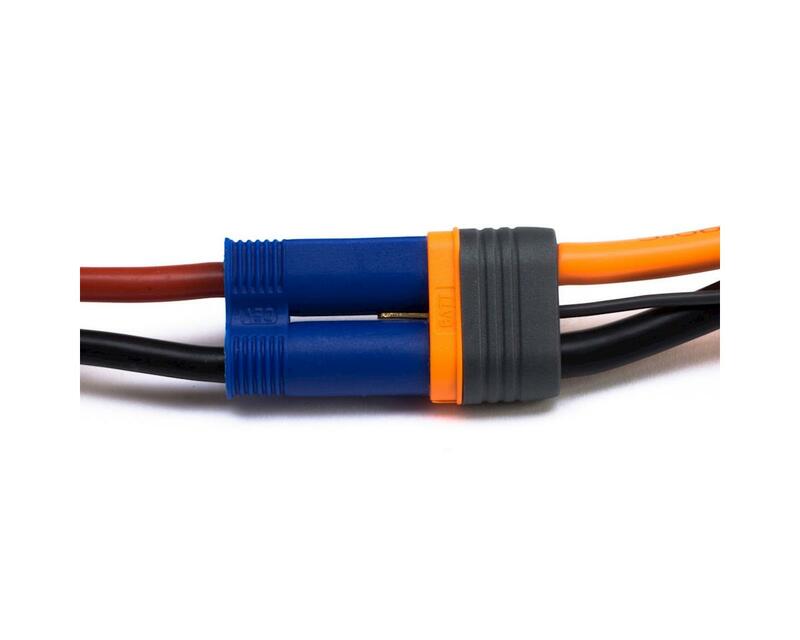 When combined with a Spektrum™ Smart Battery Charger, the unique parameters, history of the battery and more are all available the instant it’s connected. 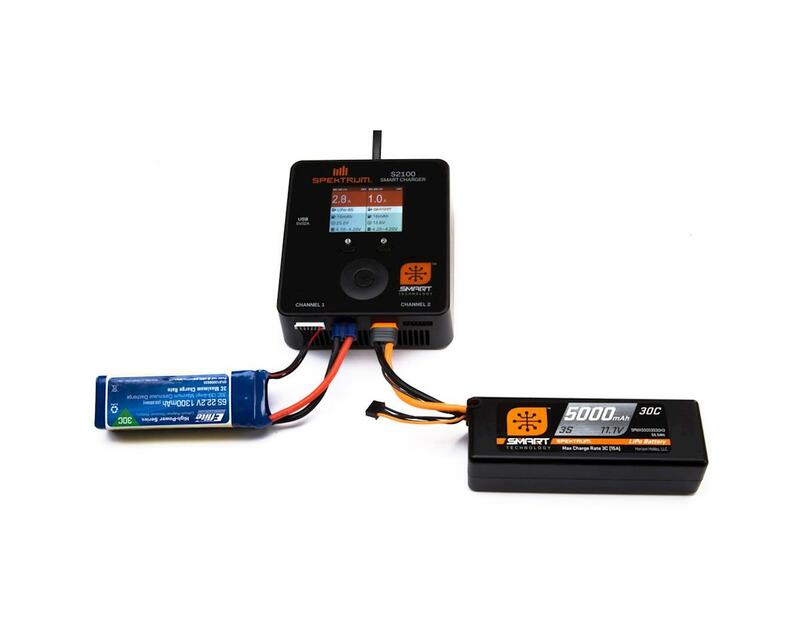 Charging a Smart Battery is easy as it gets, plus Smart LiPo battery packs are programmable to meet your exact charging needs. But the crowning feature of a Spektrum Smart LiPo battery is that it can be programmed to safely self-discharge to storage condition! You’ll never have to set charge preferences for a Spektrum Smart battery until you want to. When a Spektrum Smart LiPo battery is connected to a Spektrum Smart charger, unique parameters and health of that Smart LiPo battery upload from the Smart memory microchip integrated into the battery. Through the charger, you can view and set preferences, such as charge rates, so that all you have to do to charge the pack every time is press the charger “Start” button. Smart technology takes care of the rest. 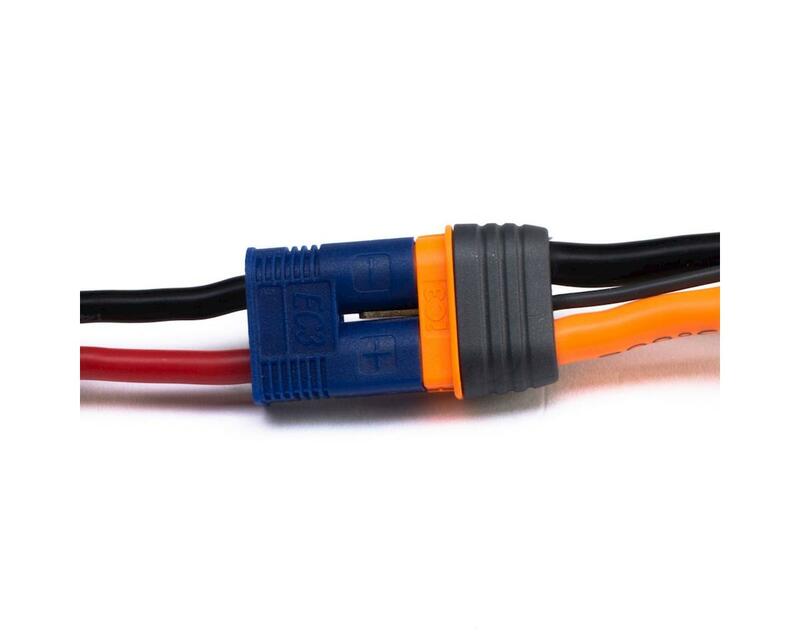 Every Smart LiPo battery is factory assembled with the next-generation IC3™ or IC5™ output connector that’s conveniently compatible with older devices equipped with robust EC3™ and EC5™ connectors. You can use Smart Batteries with older systems, but only when connected to a Spektrum Smart device will all the benefits of Smart technology become obvious. 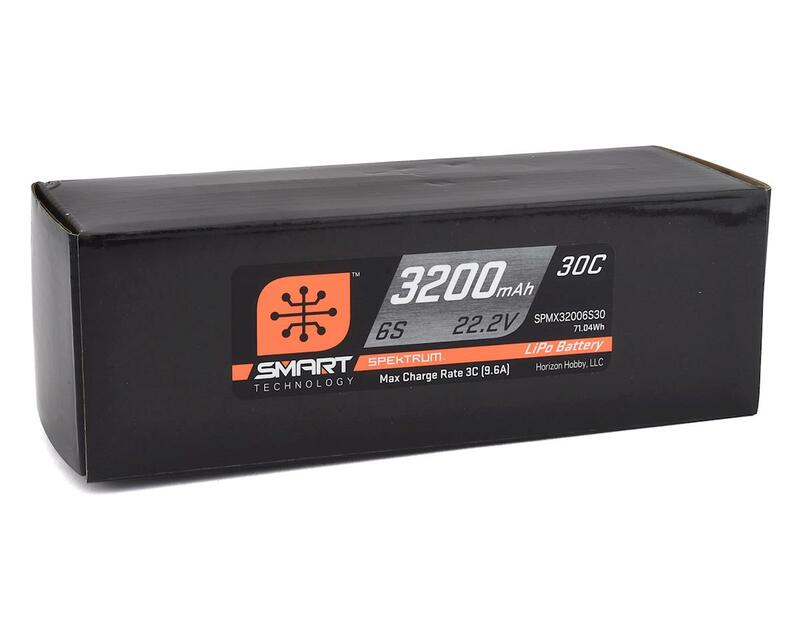 Spektrum Smart LiPo batteries also maintain an error log including the number of over-heat, over-discharge and over-charge incidents which can be helpful data in assuring that the battery you’ve chosen is right for the application. A Smart Battery uploads its charge parameters to a Spektrum Smart Charger automatically making charging as simple as pressing the “Start” button. The charge rate of every Smart Battery is customizable, allowing you to take full advantage of packs with faster charge ratings.